In 1936, Harley-Davidson introduced their first big-twin overhead-valve motorcycle, the 61 cubic-inch EL model. The new bike was originally known as the "61 Overhead" - the nickname "Knucklehead" wouldn't come about until years later. With increased horsepower and modern styling, the EL was a commercial success, and is often cited as pulling the Motor Company through the hard economic times of the 1930s. Although the new motorcycle was scheduled to appear in 1935, problems with oil leakage, as well as the effects of America's Great Depression, slowed its arrival. By utilizing a 3.31" x 3.5" bore and stroke, 60.33 cubic-inches (advertised as 61 cubic-inches) was achieved. The overhead-valve engine sat in a twin-down tube frame, with leading-link forks at the front-end. Wheelbase was 59.5 inches. The instrument panel of the EL was mounted on the gas tank, and was the first Harley to have a speedometer as standard equipment. The Knucklehead was not the Motor Company's first overhead-valve engine. 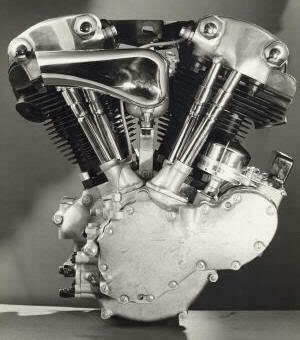 Prior to 1936, Harley Davidson had produced overhead-valve singles, but the EL represented the first OHV big-twin. One camshaft with four lobes was used. The new valve-train design allowed air/fuel mixture to flow more directly into the combustion chamber. This made for better ignition than the current big-twin flatheads. 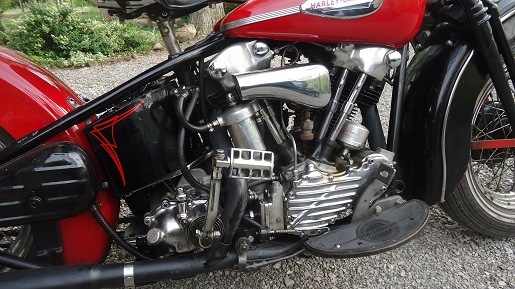 The Knucklehead engine featured a more modern recirculating oil system. This was a huge development, replacing the total-loss setup of previous models. With this new two-stage oil pump, Harley engineers could build an engine with higher compression. The result was 40 horsepower at 4,800 rpm. In 1937, racer Joe Petrali set a new top-speed world record of 136.183 mph at Daytona Beach. His motorcycle was a modified Knucklehead-powered streamliner. The previous record was held by Indian, Harley-Davidson's major rival. First-year Knuckleheads experienced teething problems, including oil leakage and hard-starting. These issues were addressed by the following year. Second-year Knucks also saw a redesigned frame. In early engines, the valve stems, valve springs, and rocker arms were exposed to aid cooling. 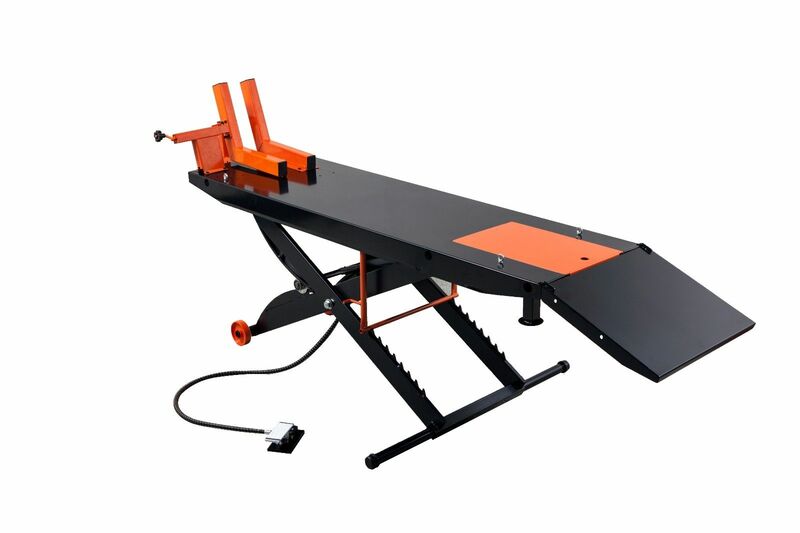 This proved to be noisy and prone to damage from airborne dirt. From 1938 on, the valve train was enclosed. The year 1939 brought stiffer valve springs and a smoother clutch, along with splined pinion and oil-pump drive gears for added strength. Placing neutral in between 2nd and 3rd gear was an unpopular design that lasted only one year. All year Knuckleheads were hand-shifted. From 1936 through 1940, all Knuckleheads displaced 61 cubic-inches. 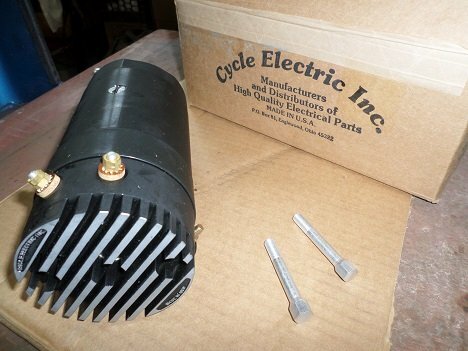 With consumers requesting more power, a 74 cubic-inch version (the FL) was offered in 1941. This was derived from a 3.43 x 3.5-inch bore and stroke, equaling 73.73 cubic-inches (advertised as 74 cubic-inches). Both size engines were offered from 1941 to 1947. From 1939 to 1946, the taillight used was the "beehive" style. 1947 saw the introduction of the "tombstone" taillight, also used on Panheads until 1954. 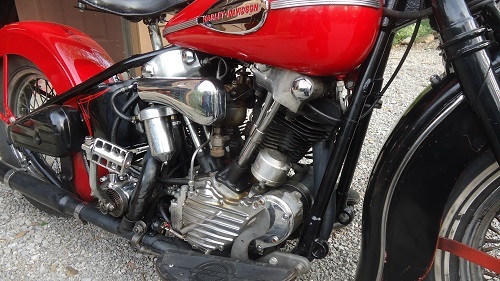 The Knucklehead nickname came about from the rocker shaft nuts on the rocker boxes. 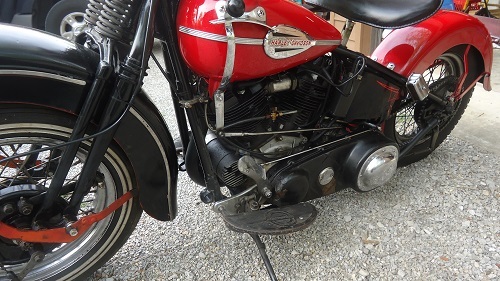 All Harley Knuckleheads have the VIN located on left engine case. No frame number was used. The first two numbers are the year, and letters are the model designation. The last numbers are the production number. Knucklehead production lasted from 1936 through 1947. 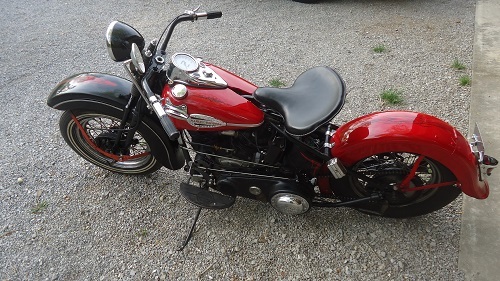 In 1948 it was replaced by the Panhead. To many, the Harley Knucklehead represents thirties and forties Americana, a time before motorcycling was frowned upon by the general public. The Art Deco styles that were prevalent in the day are clearly seen in the Knuck's lines and vivid colors. 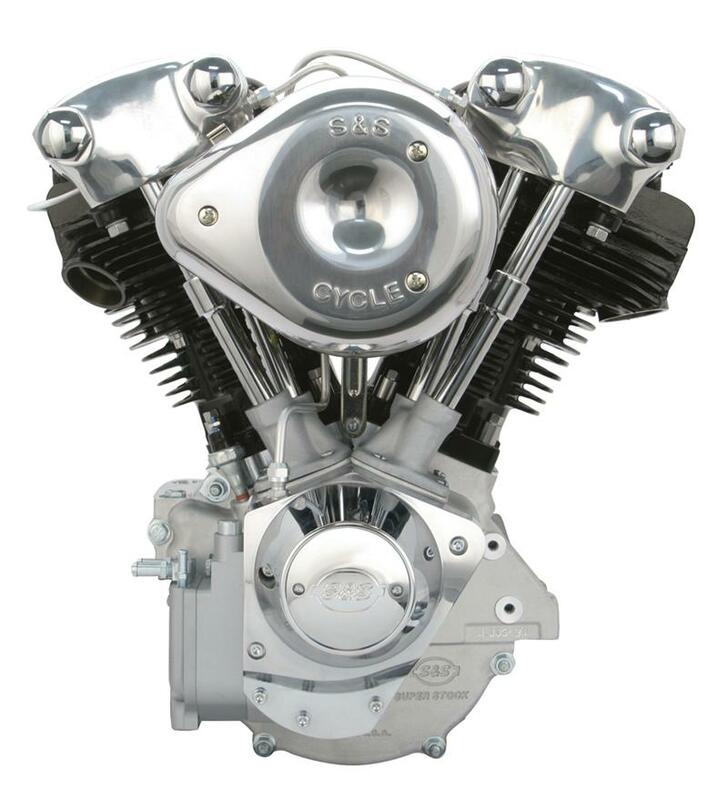 Several aftermarket companies, including S&S Cycle and V-Twin Mfg., offer updated Knucklehead-style engines.